What do you do if your Secret Santa recipient says they like peppermint bark candy and Grey Goose Vodka? 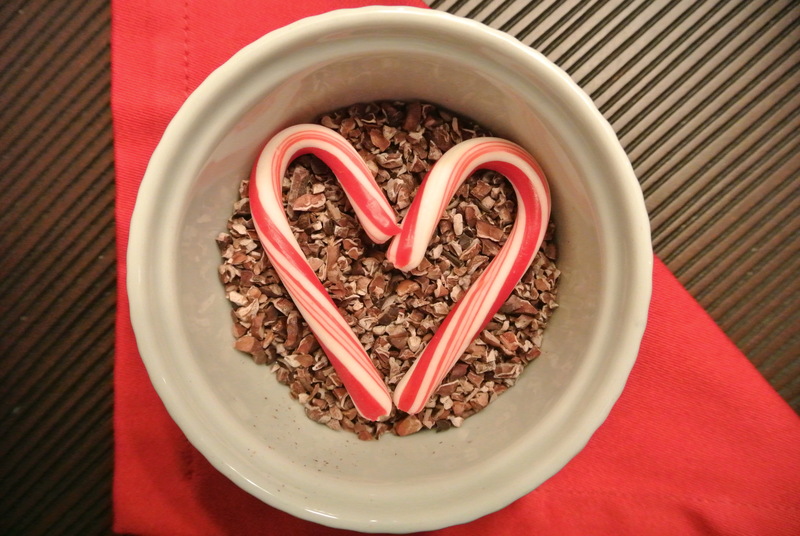 You make peppermint bark liqueur! Crush the candy canes. Combine first three ingredients in a jar, and close tightly. Shake well to combine. 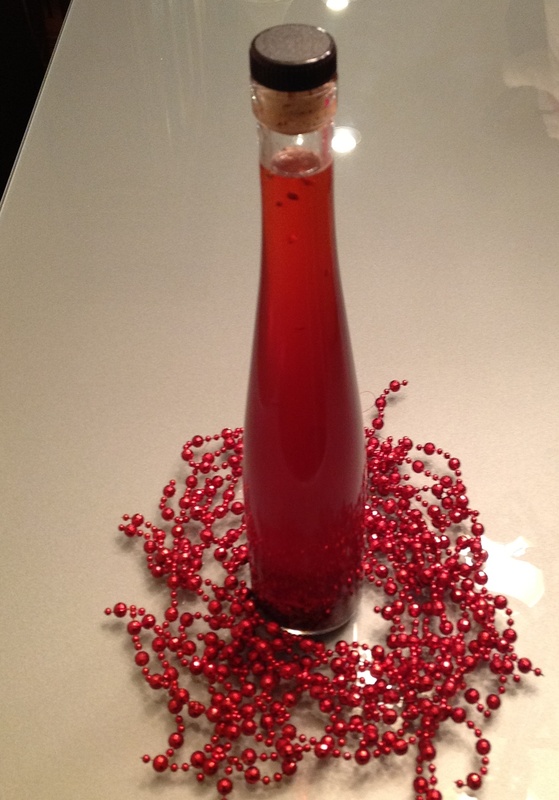 The candy canes will dissolve quickly, but it will take a while for the cacao nibs to infuse properly into the vodka. Ideally, you would wait about 4 weeks for full infusion. I only had 10 days for mine. I tried filtering the liqueur, but I wanted the cacao nibs to infuse further. 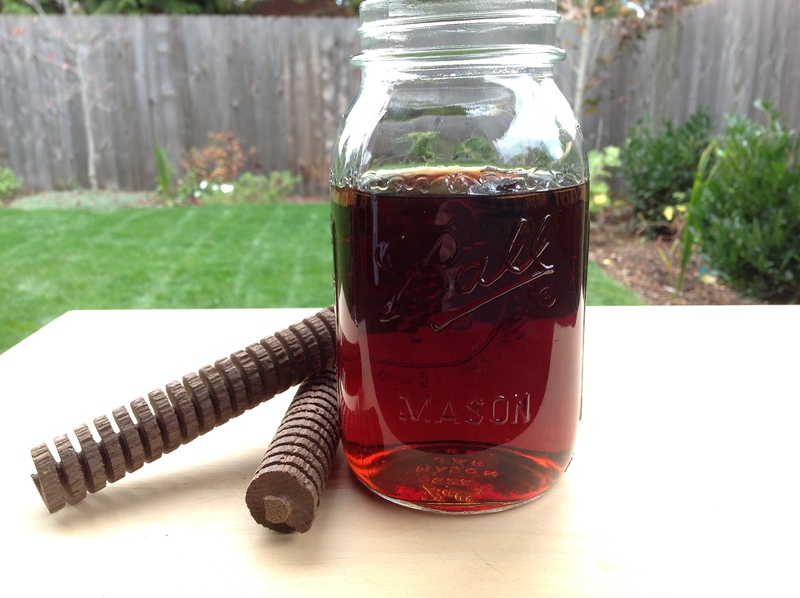 So I added the simple syrup to taste, and then put some of the nibs back into the gift bottle. 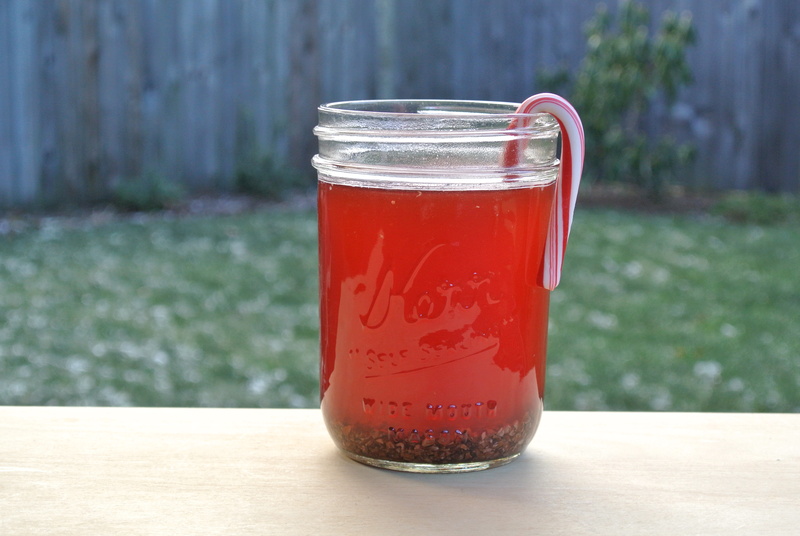 Normally I am not a proponent of gifting without filtering, but what I liked about this infusion is that the cacao nibs in the liqueur give it a bit of a “snow globe” look. The presentation is actually lovely. If you don’t have the time or inclination to make your own peppermint bark liqueur, or if you like it much heavier on the chocolate, I would recommend the Peppermint Bark Liqueur from Eastside Distilling. It is very chocolatey and very delicious. I hope your holidays are filled with cheer! Categories: Infusion, Liqueur | Tags: cacao nibs, distillery, holiday, infused vodka, infusion, Liqueur, peppermint, peppermint bark, recipe, vodka | Permalink. Last year, at the suggestion of Evelyn from Momsicle, our small group of Portland area bloggers got together for a Halloween candy-inspired infusion party. 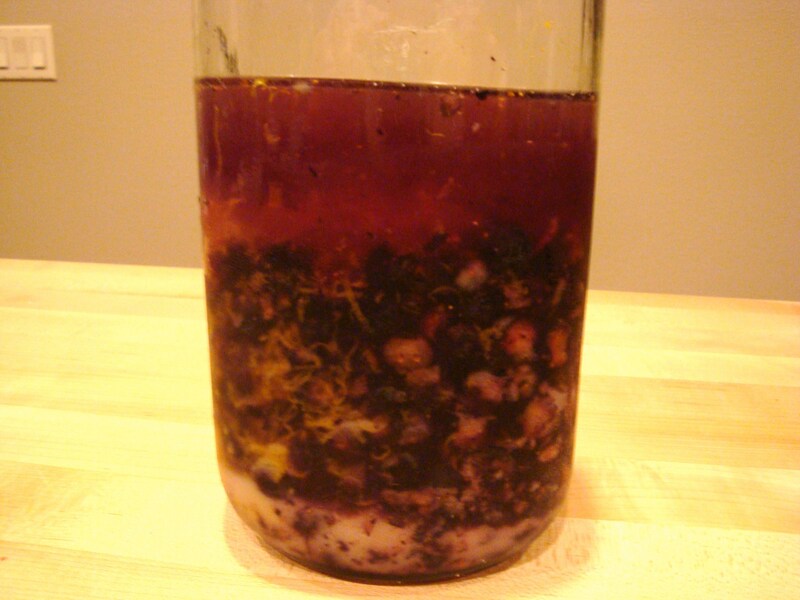 This post is intended to continue the series of Halloween infusions that we started last year. 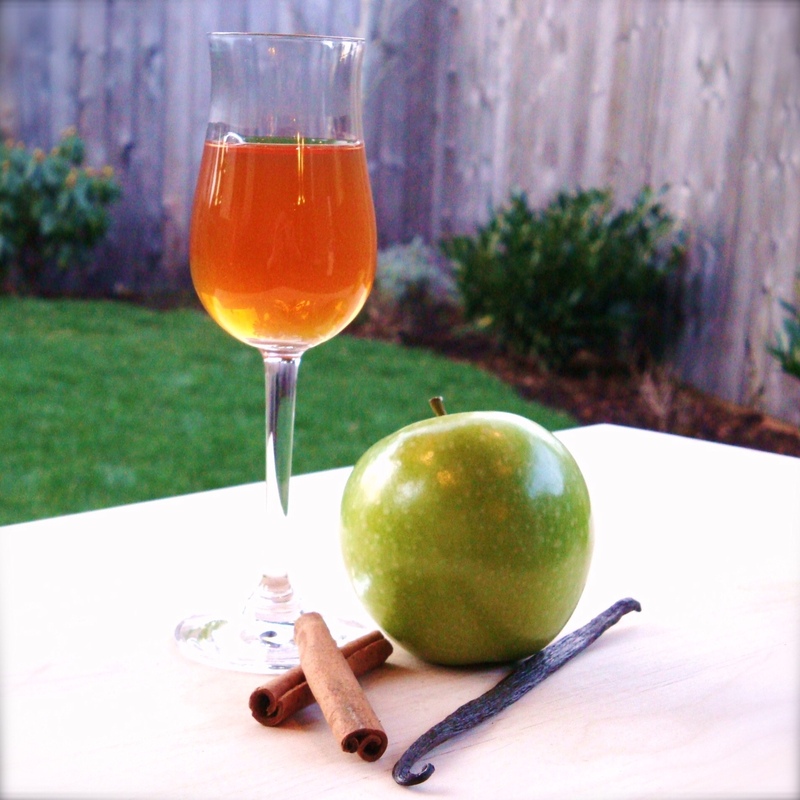 The infusions we made last year included Caramel Apple Liqueur and Chocolate Orange Liqueur. The recipe I am about to give you was originally made for that same gathering. When I think of Halloween, I have visions of popcorn balls and caramel corn. 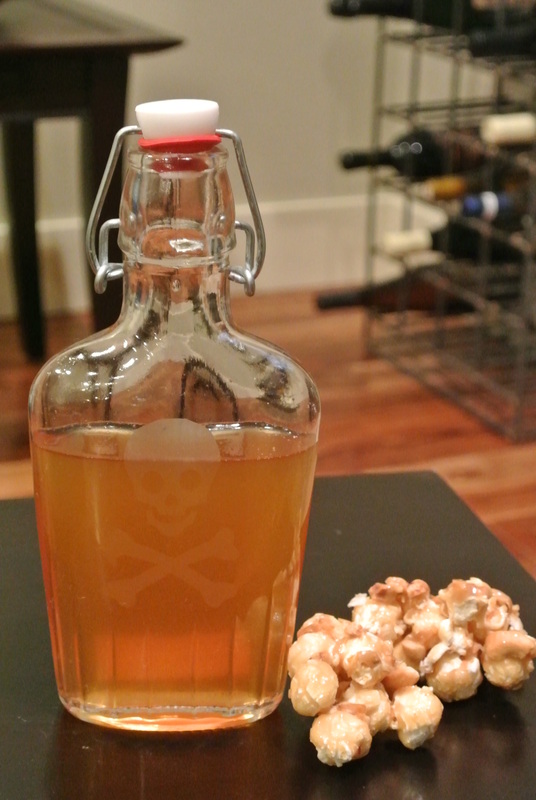 I was determined to make a caramel corn liqueur. I made two variations. One was with raw corn, the other with boiled corn. I infused them each in vodka and added caramel syrup. The trouble was, the corn flavor was not very strong. I probably should have infused actual popcorn into the vodka. 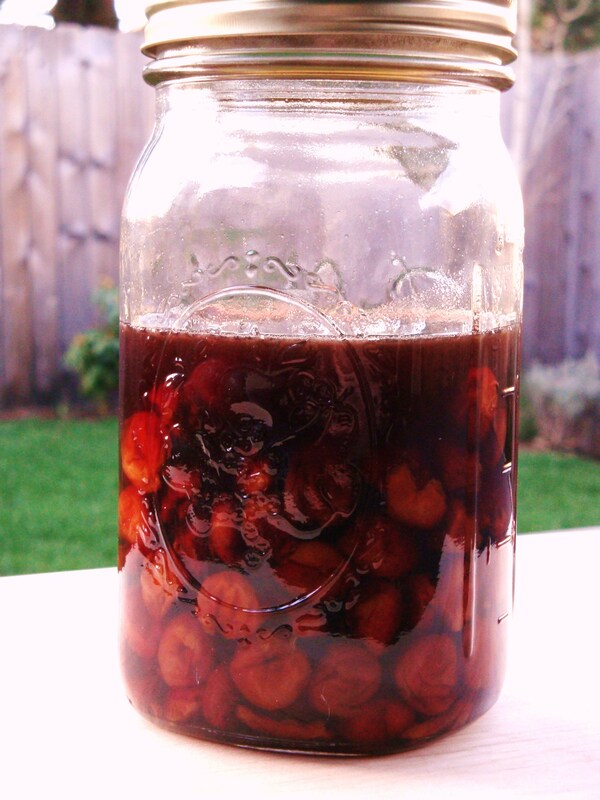 The resulting liqueur was still delicious! It just didn’t quite have the flavor profile I was going for. 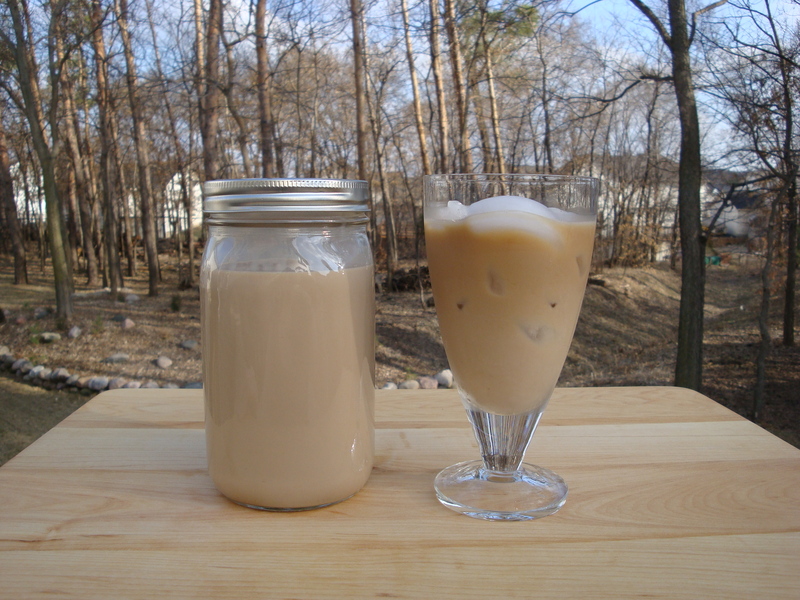 Eventually, I gave a few bottles of the caramel corn liqueur to two different friends. Both of them declared that this was their favorite! So I decided I should share the caramel-goodness with you too! You can try either raw corn or cooked (as mentioned above, we tried both raw and boiled). I think grilled would be nice (or try adding air-popped popcorn). 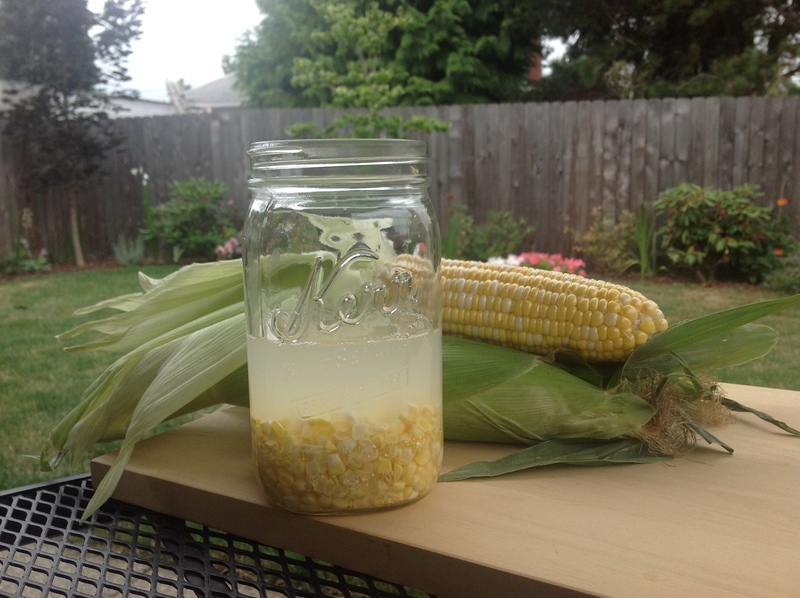 Cut the corn off the cob, and place it in a canning jar or other bottle. Add the vodka, and allow to infuse until it reaches your desired flavor (we infused for about 2 months, but I’m sure you could do a much shorter time). Strain and filter the corn out of the vodka with cheesecloth and coffee filters. Make the Caramel Simple Syrup according to directions. Allow the syrup to cool completely before adding to the corn-vodka infusion. 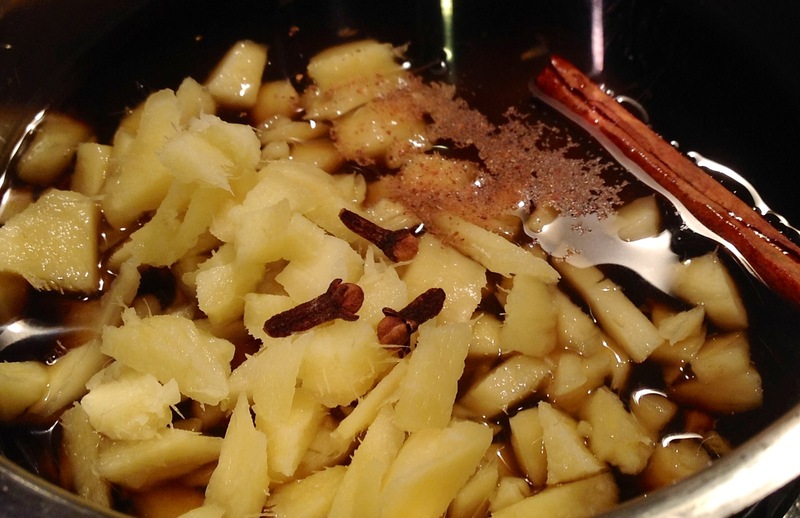 Begin to add the caramel syrup to the corn-vodka infusion one Tablespoon at a time until it reaches your desired flavor. Chill, and enjoy on its own, or in some sweet cocktails! Categories: Infusion, Liqueur | Tags: Caramel, corn, infused, infused vodka, infusion, Liqueur, recipe, vodka | Permalink. 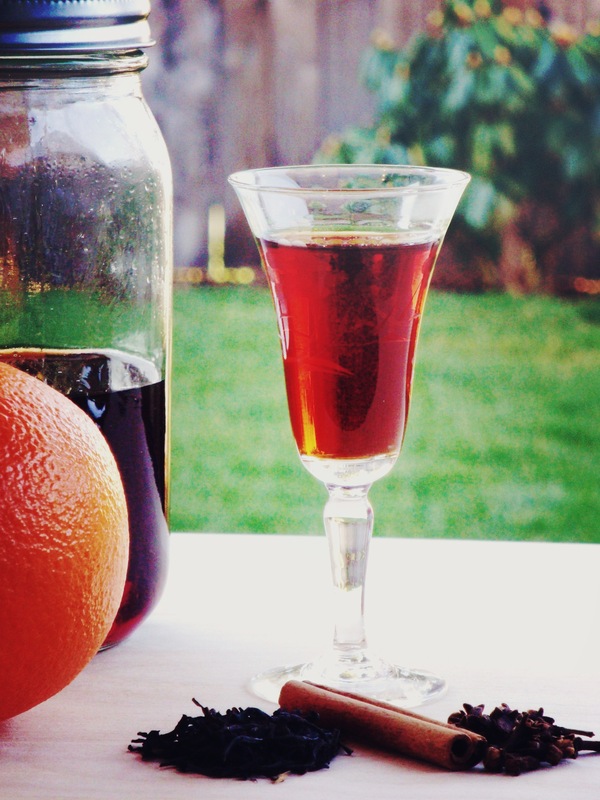 Blueberry-Orange Liqueur for Party Cocktails! Going to a fun summer party or cookout? Bring some infused booze! For a summer barbeque, we also wanted to be able to make easy, refreshing cocktails, so we chose an infusion that could easily be made into a simple highball. 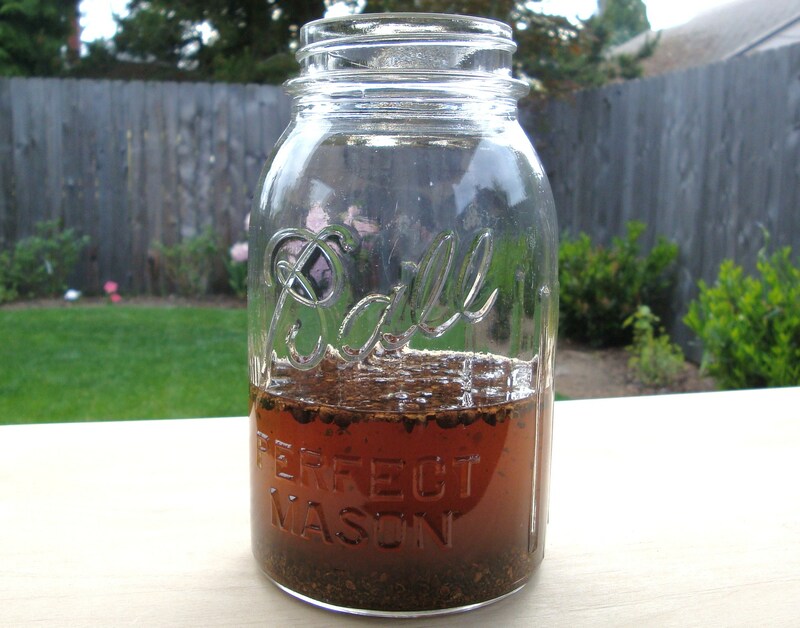 Combine all ingredients into a large glass jar or vessel. Shake well to combine. Infuse for 2-3 weeks or longer, depending on when your party is. Strain and filter, and return to the bottle (or something larger). Now you are ready to party! 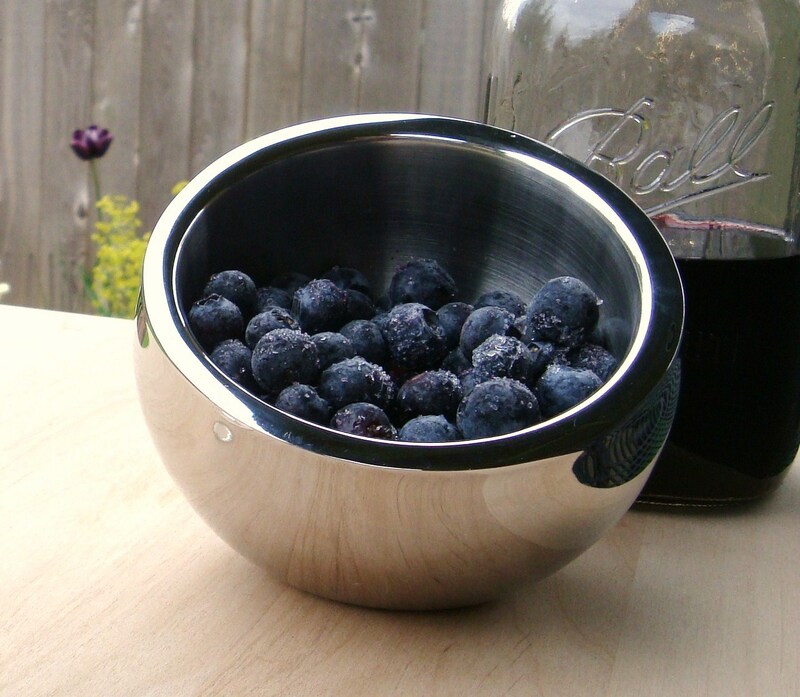 *Note: we used frozen berries, as I did in our previous Blueberry Gin, but you could try fresh as well. For the party, we thought it would be easiest to make Gin & Tonics. And who wouldn’t love a Blueberry-Orange G&T? All you need are a few bottles of tonic, a few lemons (we thought the lemon would go better with the blueberry-orange flavor than lime) and your home-infused booze! Now go enjoy your party! Categories: Drinks, Infusion, Liqueur | Tags: blueberry, cocktail, gin, Liqueur, orange, party, recipe, rum, vodka | Permalink. One of the great things about winter is citrus fruit! Ok, ok, I don’t live in a citrus-growing area. But that doesn’t mean I can’t enjoy a tasty lemon pie, and start fermenting some spicy lime pickles… and oh yeah… we can’t forget the limoncello! There are tons of limoncello recipes out there, and I’m sure that many of them are absolutely wonderful. 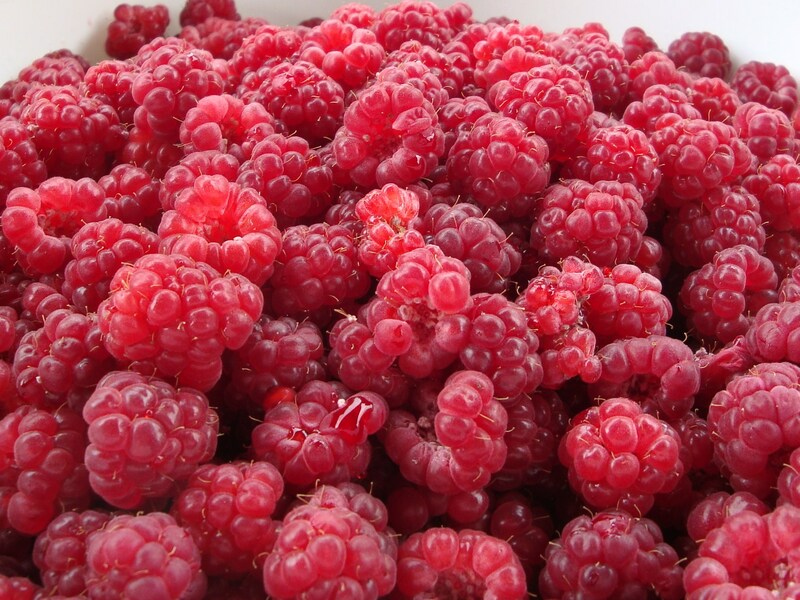 Most of them include zesting the fruit and infusing for lengthy periods of time. Now typically, that kind of thing is right up my alley. Any of you who have been following us for long can attest to my affinity for long infusion times. But for me, limoncello is different. A few years ago, we were visiting some friends and they pulled out a lovely bottle of homemade limoncello from the freezer. It was so lemony and tart, and just perfect. It was the best limoncello I ever had! I managed to get the recipe and now I will share it with you. I’m afraid that I do not know the source of the recipe, so I apologize for not appropriately giving credit. Slice the lemons in half, and juice all of them. Set the juice aside and reserve for another purpose. Place the lemon peels, vodka, and sugar in a large jar (you will probably be able to just squeeze this into a 1/2 gallon jar). 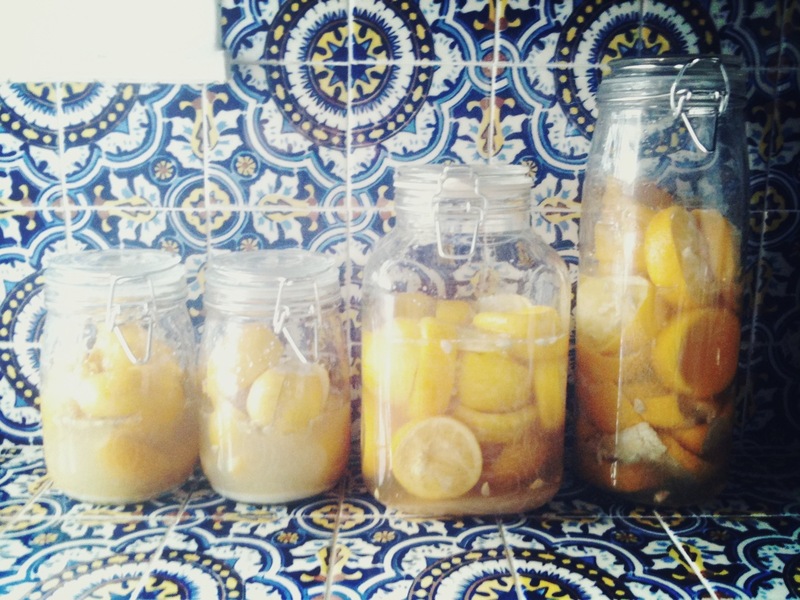 Make sure all of the lemon peels are submerged in the vodka (stack them together if necessary) and seal the jar tight. Stir or shake it daily until all the sugar has dissolved, or about a week. Strain the liquid, but do not squeeze the lemons it will make the infusion bitter. You can gently press a bit of the liquid out of the lemons with the back of a wooden spoon, but make sure you don’t give them much pressure. 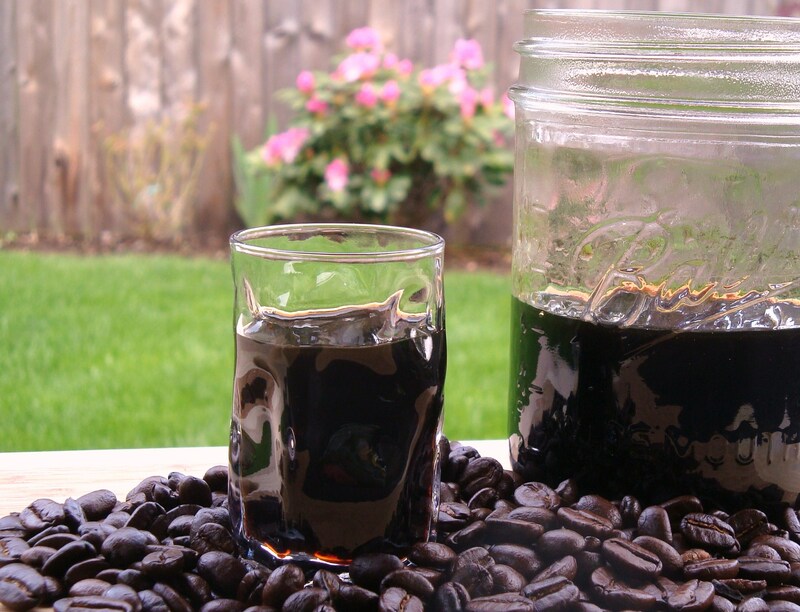 After you have filtered the rest of the liquid, bottle it and enjoy! I’m sure there are tons of amazing cocktail recipes to use with this limoncello, but I prefer to store mine in the freezer and drink it straight, well-chilled. 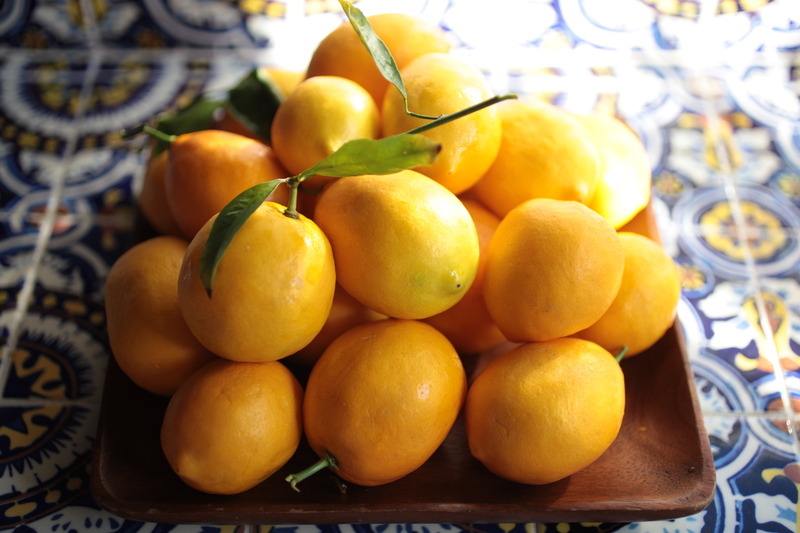 If you have any desire to make limoncello this year, please try this fast and easy version. It is spectacular! Categories: Infusion, Liqueur, Recipes, Uncategorized | Tags: infusion, lemons, limoncello, Liqueur, recipe, vodka | Permalink. Here we are in 2013! I still can’t quite believe it. January is flying by. And all around me, I see lots of people who have such great aspirations. New Year’s resolutions and cleanse diets abound. I’m not one for resolutions, and I can’t imagine I’d ever attempt a cleanse… so why not cleanse our cocktail? That’s an idea that even I can get behind. Combine all ingredients in a small sauce pan. Bring to a boil over medium heat and simmer for 30 seconds. 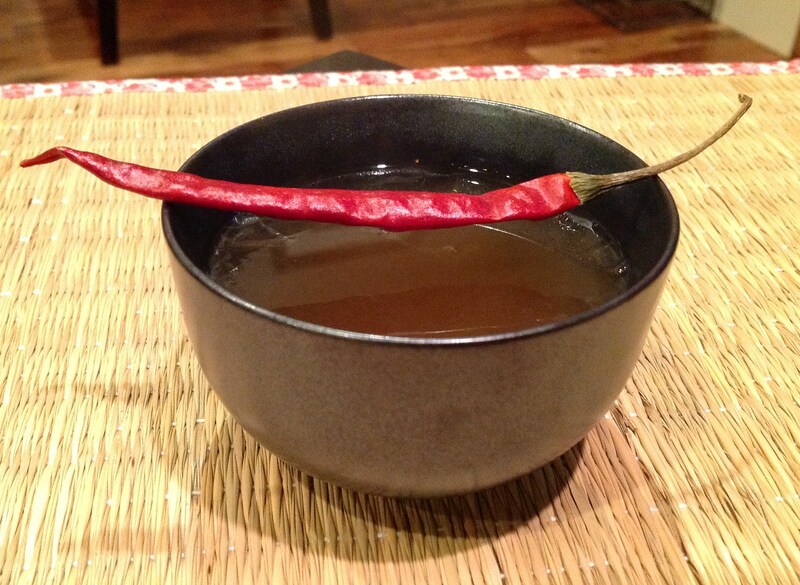 Remove from heat, pour into a tea cup or mug and garnish with a chili pepper. It is cold out, so we decided to do this as a heated drink. It would probably taste just as delicious served cold. 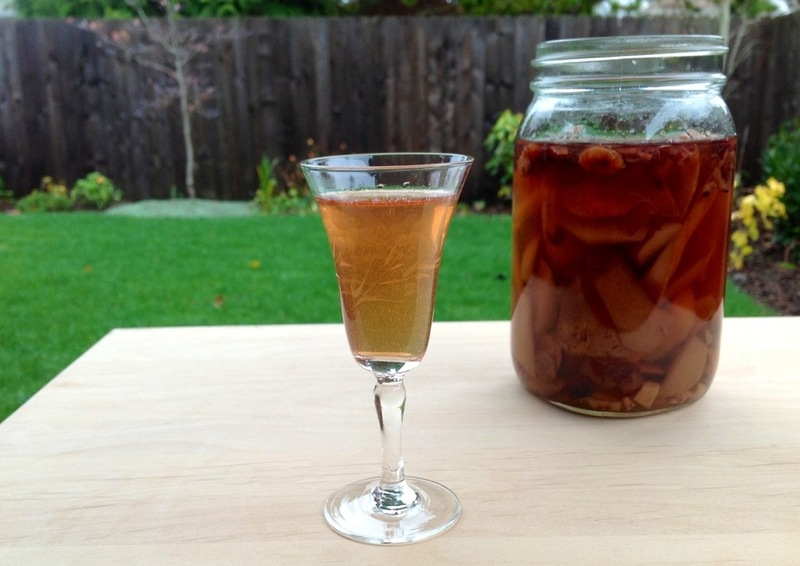 So this may not be your typical cleanse, and this may not be your typical cocktail. But we’ve never been ones to adhere to the standard drinks. This is delicious! You’ll enjoy this much more than your New Year’s diet or cleanse! What is your favorite way to celebrate your unconventional spirit… in a cocktail? 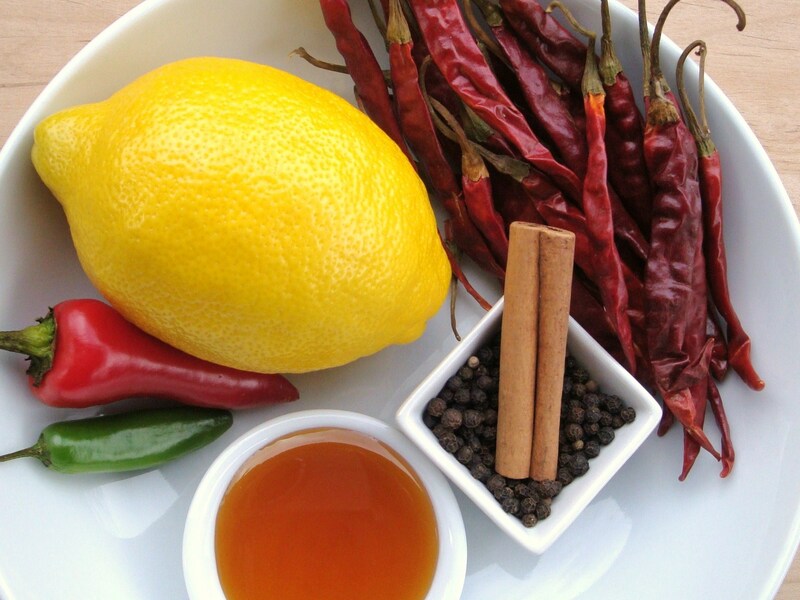 Categories: Cocktail, Drinks, Recipes | Tags: agave, cayenne pepper, Chili, cleanse, cocktail, drink, lime, Liqueur, maple syrup, recipe, Unusual cocktails, vodka | Permalink.